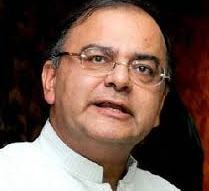 Finance Minister Arun Jaitley on Tuesday expressed hope that long-pending Insurance Bill seeking to hike foreign direct investment cap to 49 per cent will be passed by Parliament by the end of this year. "Hopefully by the end of the year the amendments to the Insurance Act get approved by Parliament and then notified," he said at an event organised by Pension Fund Regulatory and Development Authority in New Delhi. "There is an intrinsic link between insurance and pension sector. . . the foreign direct investment limits in the Insurance Act automatically applies to the pension sector," he said. "Therefore additional investment coming in, more expertise coming in, more capital coming in, hopefully more funds coming in and different kinds of products competing against each other then becomes greater reality," he added. The much-delayed Insurance Bill seeks to raise the foreign investment cap in the sector from 26 per cent to 49 per cent, with a rider that the management control rests in the hands of Indian promoter. The Bill to hike the FDI limit has been pending since 2008 in the Rajya Sabha. As many as 97 amendments have been moved to the original bill by the Narendra Modi-led government last month. The Bill could not be passed in the Budget session because of the stiff resistance from the various opposition parties. It was eventually referred to a Select Committee of Parliament. The government agreed to the opposition demand amidst receding hopes of being able to convince it to support its first major economic reform initiative on the last day of the Budget session.